Since its opening in 1973, Glendale has been one of the finest 18-hole public golf courses in the state. Glendale features one of the best finishing holes in the state; a difficult par-4, and at nearly 7,000 yards is challenging for all levels of players. Three lakes and the Jordan River add intrigue to several holes for long hitters who fail to his it straight. 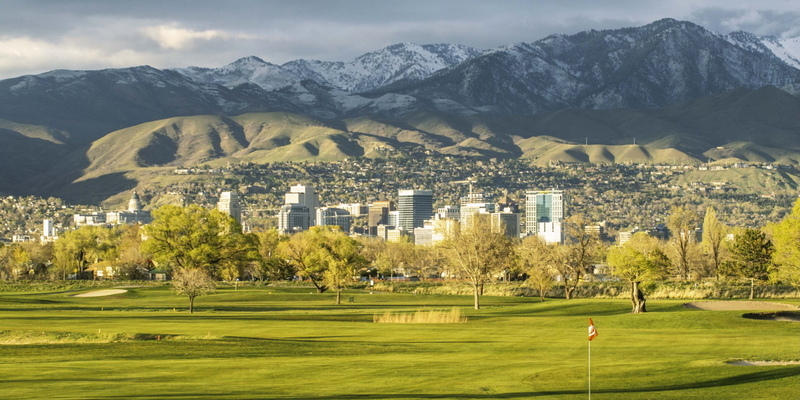 Combined with exceptional views of the Wastach and Oquirrh Mountains, Glendale creates the ideal golfing experience. Glendale is famous for its practice facilities -- it has one of the best-maintained grass driving ranges in the West, two large practice putting and chipping greens. Glendale has professional instructors and junior clinics are available. With the café and fully stocked pro shop, Glendale is the perfect place for your tournament and group outings. Please call 801-974-2403 for current rates. Call 801-974-2403 for rates and tee times. Contact Glendale Golf Course at 801-974-2403 for more information and details on holding a golf outing at the course. Contact Glendale Golf Course at 801-974-2403. Contact Glendale Golf Course at 801-974-2403 for onsite or nearby dining options. This profile was last updated on 08/24/2014 and has been viewed 5,699 times.